Do your children love reading? Are they creative and imaginative? 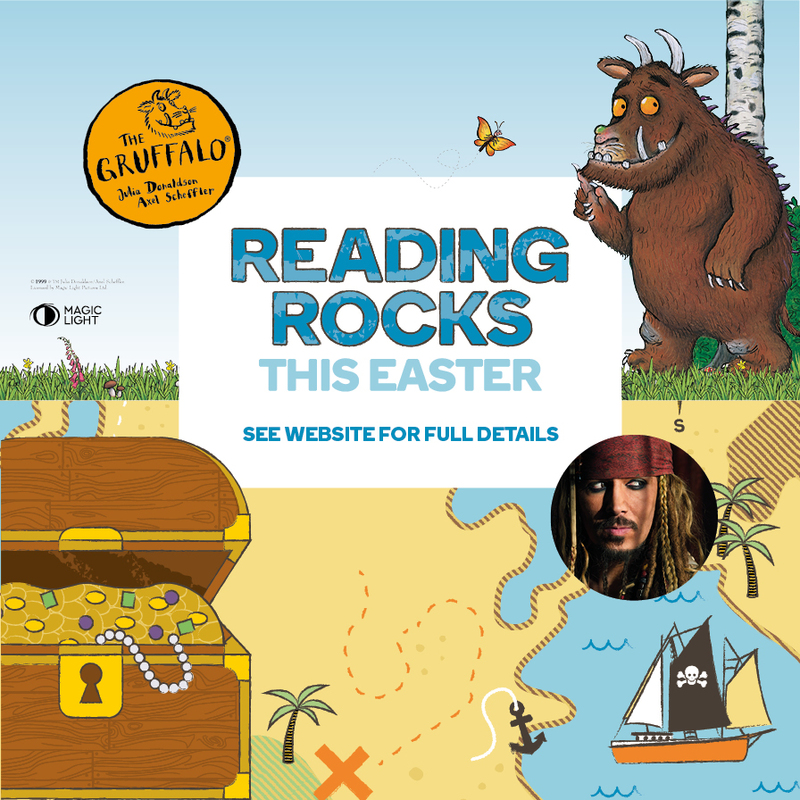 Then there’s the perfect free event for them at The Rock, Bury, this Easter weekend – featuring children’s favourite The Gruffalo, plus a host of pirate-themed, Treasure Island fun. The shopping centre is hosting a two day ‘Reading Rocks’ extravaganza on Good Friday (19th April) and Saturday 20th April. Taking place in a large marquee in the heart of the shopping centre, there’ll be character appearances, a read and relax area and a creation station where children can make book marks and treasure maps. Each day there will also be a Reading Rocks Quest taking place at the centre where visitors must find all the reading related images in the shop windows and complete an entry form for the chance to win an Easter prize, there will be prizes for the best fancy dress each day and goody bags for visitors . On Friday 19th April, children can come and see the Gruffalo at 11am, 12pm, 1:30pm, 2:30pm and 3:30pm. On Saturday 20th April we’ll be joined by Jonny Depp lookalike Captain Jack for personal appearances at 11am, 1pm and 2:30pm. Plus there will be story time sessions at 12pm, 2pm and 3pm.Events will be held on a first come first served basis. Arnold Wilcox-Wood, Centre Director at The Rock, said: “We know finding ways to keep the children entertained can be difficult so that’s why we’re hosting these free events for our visitors They promise to be both fun and educational.